1. You get a movie theatre experience, but with zero hassle. If you’re thinking of hitting the cinemas with your family to binge on a Star Wars movie, a home theatre can bring together all the cinema effects which will make the movie a lot more intriguing and enjoyable. With a home theatre installed, you can transform your movie-watching experience into a stress-free living room cinema-like movie night. 2. You feel like you have front row tickets to the sporting event. If you’re a sports lover, then you know how amazing it feels to have front row tickets. If you have a home theatre system in your home, you will get that experience and also, you will be able to share it with your family and friends. Nothing beats watching a live game on a big screen accessorized with surround sound. The sound and HD display makes everything come alive. Choosing the right projector is also very important. It’s important to understand the nuances of different projectors setups. Online resources like Outdoor Movie HQ have individual guides to projector types, the optimal space required for each kind and also discuss compatibility issues. 3. You can get better gaming experience for video-game enthusiasts. If you are aware about positive effect of video games and you are a game enthusiast, then you know the difference between playing games on a boring regular TV as compared to a wide screen with great sound. The latter will give you a different game-play experience. You can journey with Link throughout Hyrule and immerse yourself in the vast expanse of landscapes that video games create. With the amazing pictures and surround sound effects that video games come with, the way you play video games will change; bringing a far better experience. Single-player video games are best enjoyed when you’re engrossed in every bit of the action. This is what HD home theatre system brings to you. 4. You can scale the appeal and value of your home. Once your home is equipped with improved technology for entertainment, example, a home theater system, its value increases. 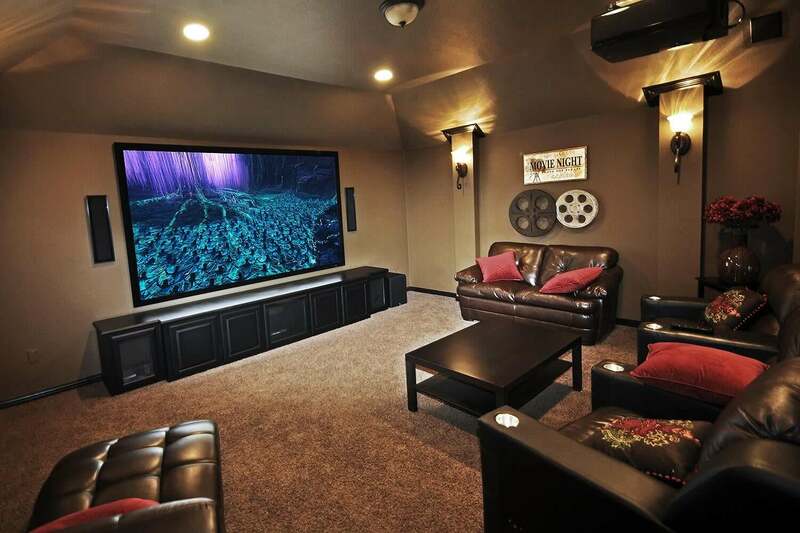 Reports from the New York Times show that home buyers see home theatres as a huge plus when buying a home. There is no need to give up a large chunk of your home space to a home theatre. Just about 200 square feet is enough to accommodate a high quality customized home theater system that will last for several years. 5. You can customize it to your desired specifications. The ability to customize a home theatre system to your specific needs is the most interesting aspect of owning a home theater system. So, you can view sporting events, concerts, and movies with your family and friends with the best experience and with zero hassle. From equipment, to furniture and the area you want it fixed, home theatres can be tailored to fit whatever picture you hold in your head. Rono Hamilton is currently an advisor and consultant to startups and high growth companies focused on helping his clients get the most of out their own marketing data. He enjoys spending time with his family, listening to music, and attending concerts and music festivals.